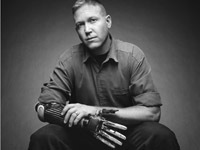 The Modular Prosthetic Limb is a bionic arm with human-level dexterity, weight, range of motion, and force generation. 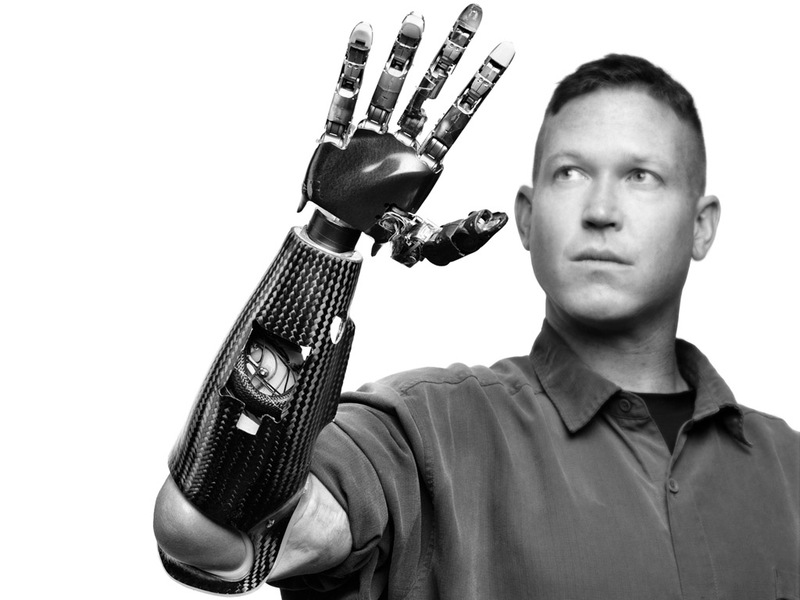 It's designed to restore full functionality to upper-extremity amputee soldiers. 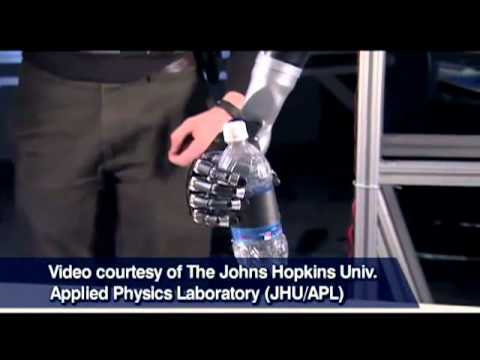 Hand in hand with the Modular Prosthetic Limb. The MPL is made of metal, plastic, and carbon fiber. 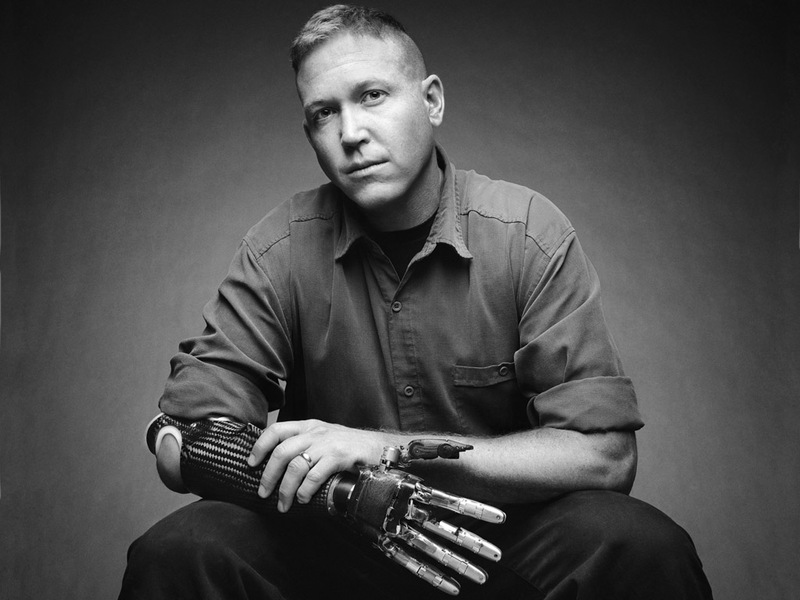 Jonathan Kuniholm, an Iraq veteran and engineer, wears the MPL. The MPL is intended to be an open platform. 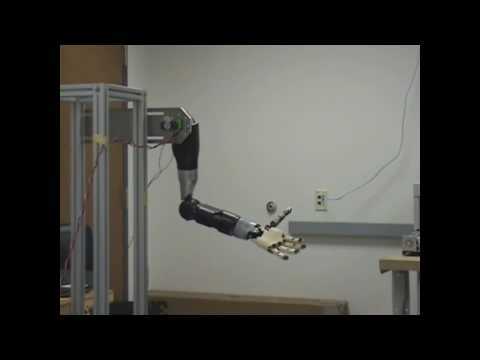 The prototype arm in action. Early lab tests with the prototype arm. 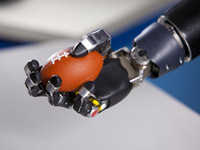 Using the MPL bionic arm and a brain-machine interface, a paralyzed man from Pennsylvania was able to reach out and touch his girlfriend's hand during a 2011 trial. 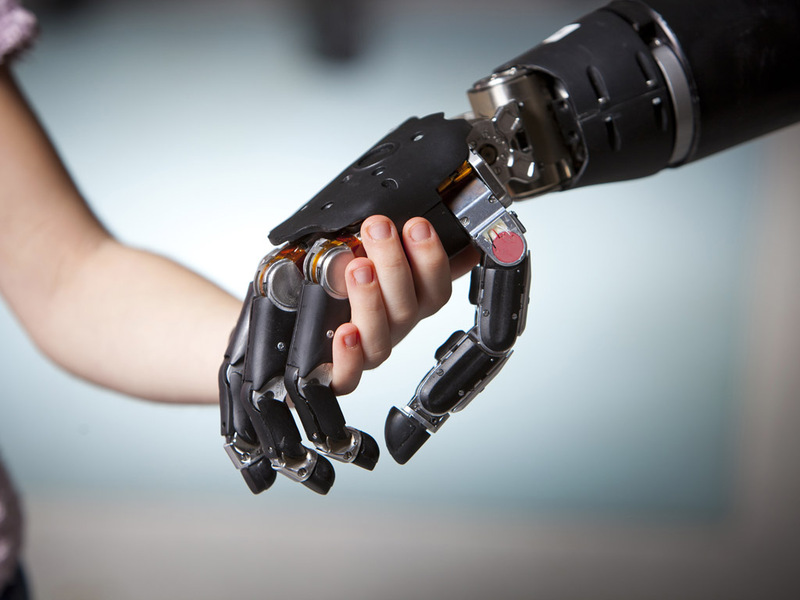 The goal is to develop a bionic arm that not only receives control information from the brain but also sends sensory information to it. 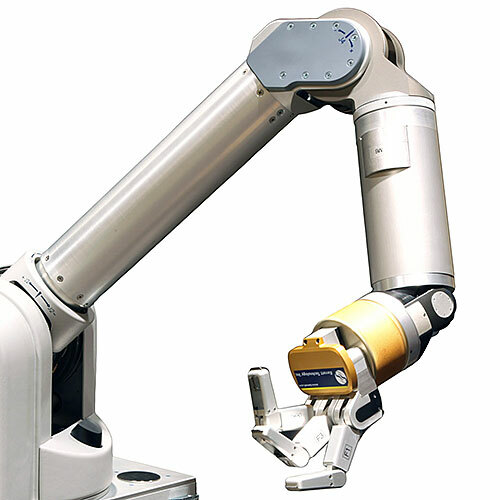 Anthropomorphic design with nearly the same number of degrees of freedom as the human arm. Adaptable to varying degrees of amputations. Position and torque sensors in the hand and upper arm. 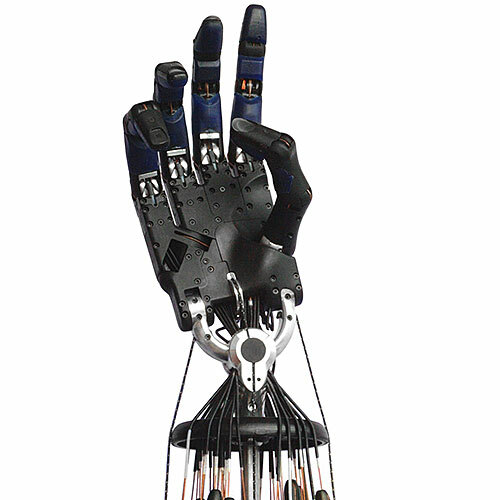 Contact sensors in the palm and fingers. 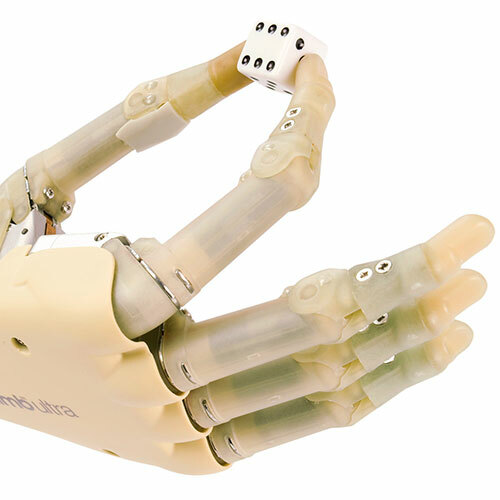 Three-axis force sensor and accelerometer in the tips of fingers and thumb (optional). Brushless DC motors with custom transmissions and motor controllers. 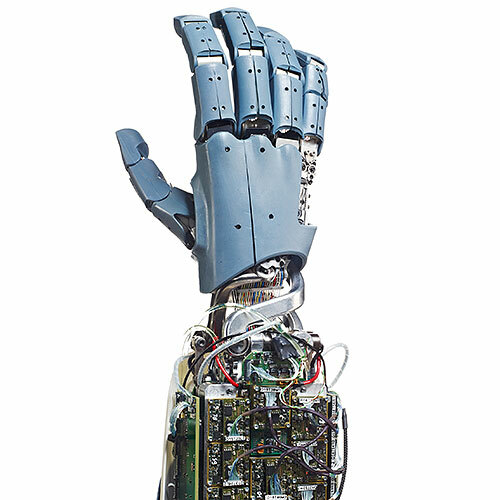 Main controller in the hand, local motor controllers at each joint, and neural control unit for human intent decoding. QNX real-time OS and custom control software. Metal transmissions with carbon fiber and plastic shells. 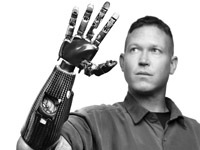 The Modular Prosthetic Limb was developed by the Johns Hopkins University's Applied Physics Laboratory (APL) as part of DARPA's Revolutionizing Prosthetics program, launched in 2006. 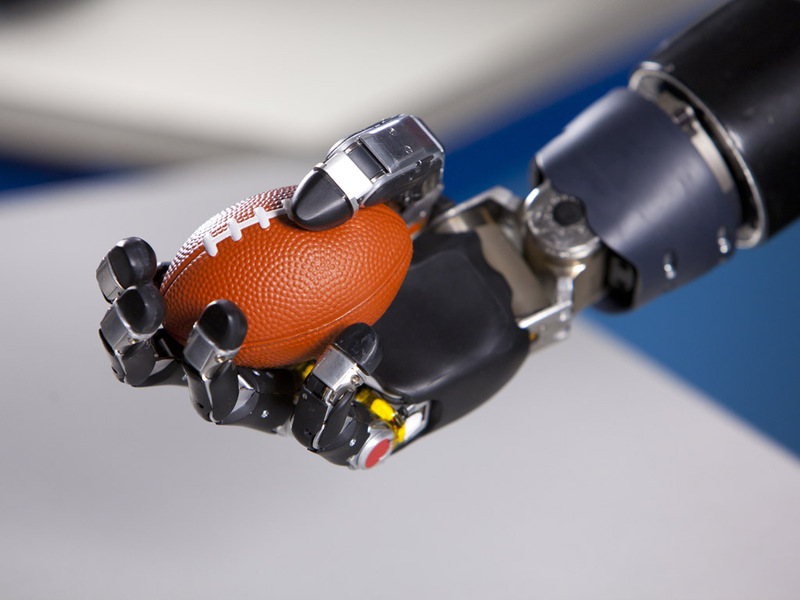 The program funded two teams: Dean Kamen's DEKA R&D firm, which built the DEKA Arm, and Johns Hopkins's APL, which developed the MPL system. The first version of the MPL was finished in December 2009. The current version of the MPL was finished in December 2010. APL researchers, in collaboration with teams from the University of Pittsburgh, University of Chicago, University of Utah, and Caltech, are now performing experiments involving brain control of their arm by tetraplegic volunteers. 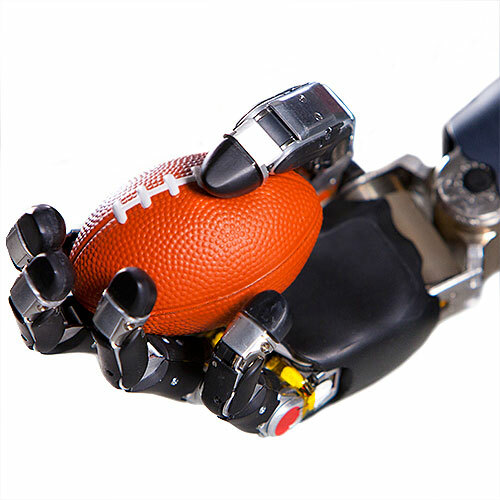 The goal is to create a neurally controlled artificial limb that can restore full motor and sensory capability to upper-extremity amputees.